How Registered Nurses (NEC) can apply Australia PR? If you are looking to establish your career in one of the most advanced nations, Australia is an ideal country for you. Australia welcomes thousands of immigrants every year in the country, who come here for work, business, study, or leisure. The Skilled Migrants especially prefer to immigrate to Australia, in view of its high employment rate, democratic government, world class cities, high living standard and excellent infrastructure and facilities for newcomers. Well, at now, you have even more reasons to immigrate to Australia as there is a great demand of Healthcare Professionals in Australia. For instance, at now, there is a significant demand for Registered Nurses (NEC) in Australia at now. Opportunity for in Registered Nurses (NEC) in Australia. Currently, various industries and organizations in Australia are looking for qualified, experienced, and talented Registered Nurses in order to assess, understand, and execute the nursing care for the patients as per the recognized nursing standards. This particular Occupation group includes the Registered Nurses NEC (Not Elsewhere Classified). Moreover, the Canadian Government is also looking to invest more in the Bridging Programs for the Foreign-Trained Nurses, in view of the ongoing skill shortage of nurses in the country. Hence, it’s the perfect time for you to immigrate to Australia if you are a Registered Nurse in your resident country. 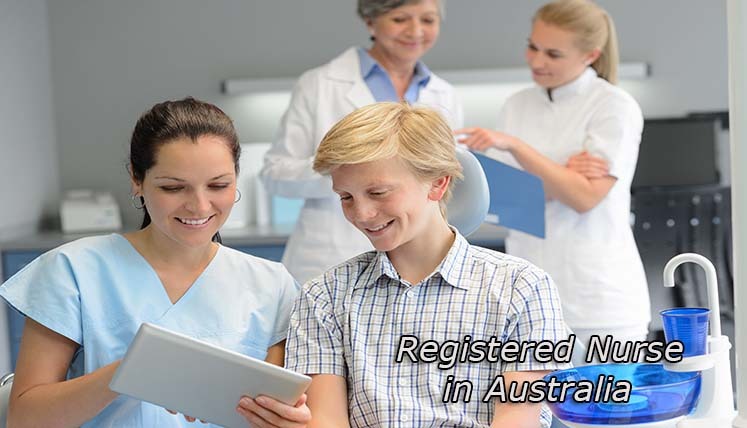 If you are positioned as a Registered Nurse in your resident country and willing to work in Australia, it’s a great opportunity for you to immigrate to Australia, as your occupation is already in the CSOL (Consolidated Skilled Occupation List) of Australia. Hence, all you need to do is get in touch with a reputed Australian Immigration Consultancy and begin your Visa Procedure for Immigration to Australia today. The Australian Immigration Procedure has become more technical these days. Hence, a support or guidance from a reliable Immigration Consultancy Service is certainly advisable. A Visa Consultancy Service not only helps you find legal yet hassle-free immigration methods but also assist you with the formalities of the complex Visa procedure. For instance, Visas Avenue– a leading Immigration Consultancy Service has earned a very high reputation of being an excellent support for the immigration applicants in terms of providing help and assistance in Online profile creation, Skill Assessment, Visa Application filing, Visa application monitoring & follow ups and so on. The Visas Avenue is a team of qualified immigration experts, who specialize in the immigration procedure of Canada, Australia, New Zealand, USA, UK, Denmark and other such immigration hotspot countries. It also provides the free consultation for general immigration queries. If you seek document assistance service from the Visas Avenue team, you can fill the free assessment form on its website to receive a call from the Immigration Expert.